I uploaded my Tokyo Green Space presentation that I conducted at Japan’s Ministry of Foreign Affairs earlier this month. Similar presentations were also conducted at Hitachi and Pechakucha. Tokyo Shimbun wrote about Tokyo Green Space. The article is about my presentation conducted on December 7 at Hitachi’s headquarters. Last week I gave several talks about Tokyo Green Space, including at Japan’s Ministry of Foreign Affairs (Gaimusho, 外務書). The 1960s modernist building and landscaping impressed me. You can see the bright yellow ginkos in the background and the last fall leaves in the foreground. My main point to the Ministry was that Japan has not done a good job of explaining its accomplishments in creating livable cities. Both its ordinary gardeners who compensate for a history of poor planning, and its landscape visionaries who are creating new public spaces for people and wildlife are unknown within and outside Japan. Most foreigners are surprised at how human-scaled and enjoyable Tokyo is. Given climate change and global urbanization, Japan should promote its achievements and expertise in new urbanism, with relevance to developed and emerging cities around the world. I also gave talks last week at Hitachi Ltd Headquarters to an audience that included Hitachi global business, defense systems, environmental strategy, and research institute leaders, as well as Kajima and ARUP biodiversity specialists, university professors, and Japanese media. Voted the MVP (most voted person), I also gave an impromptu speech, in Japanese, at the wonderful TEDxSeeds conference organized by the extraordinary culture curator Satoh Keiko. 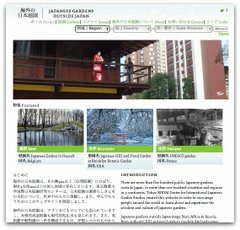 This weekend I will be presenting a talk, “Urban Gardeners and the City of the Future,” in an Urban Japan panel at the Anthropology of Japan in Japan conference. It will be held at Temple University‘s Japan campus, and my panel is Saturday November 7 from 1 pm to 3 pm along with papers on urban bicycling, geisha, street festivals, and gender inequality. More than three months into my Council on Foreign Relations Hitachi International Affairs Fellowship, I am astounded by the wide range of activities it has allowed me to participate. In the past week alone, I met Japan’s most prominent scenario-planning business consultant, Nishimura Michinari of Greenfield Consulting, attended a Japan Initiative forum featuring new Diet members with a prominent design and communication leader, met the former Patagonia Japan president who is now promoting permaculture, heard a lecture about net-native nation from Amazon Japan’s director of public policy, met a Sophia University anthropology professor, was interviewed by the San Francisco Chronicle‘s transportation reporter, attended the monthly Pecha Kucha design forum, and visited the Innovation Lab at Hakuhodo, one of Japan’s largest advertising agencies and one of the most beautiful offices I have ever visited. I realize what a unique opportunity this fellowship is, and am very grateful to my sponsors and the open-minded Japanese who have been very patient with my Japanese and generous with their time. Summer is in full force in Tokyo now, and I am turning to literary inspiration to better understand this complex metropolis. Viewed from above, Tokyo is an endless concrete slab with few visible elements of nature. Viewed from the street, the city pulses with human and plant life, and its residents react to the constraints of the built environment with creativity. In exploring the layers of Tokyo, I am relying on two books written in English. A Enbutsu Sumiko, a Japanese woman educated at Smith College, wrote “Discover Shitamachi” in 1984, and I have been using it as a guide to the Edo era survivors in the area near the Sumida River first settled by artisans and merchants in the 1600s. Enbutsu also wrote A Flower Lover’s Guide to Tokyo: 40 Walks for All Seasons in 2007, a wonderful book that suggests city walks organized by seasonal flowers. More recently, I am reading noted Japanologist Edward Seidentsicker’s 1965 literary biography Kafū the Scribbler: The Life and Writing of Nagai Kafu, 1879-1959, from which the quote above about summer comes. Since I am still unable to read in Japanese, I rely on these historic works to better understand Tokyo’s strange mix of history and modernity. Seidensticker’s biography insists that his subject is “better and more important than any of his works” and that his work can only be understand in the context of his life, his city, and the Meiji tension between Edo and modernity. Whether considering historic sites, ancient festivals and crafts, the ever-active wrecking ball, and latest popular culture, it is humbling to think that this tension between traditional and modern urbanity has existed for over 100 years in Tokyo. I am looking forward to Seidentsticker’s chronicle of turn of the century Tokyo life, and visiting some of the same places myself to sense if there any echos still audible.